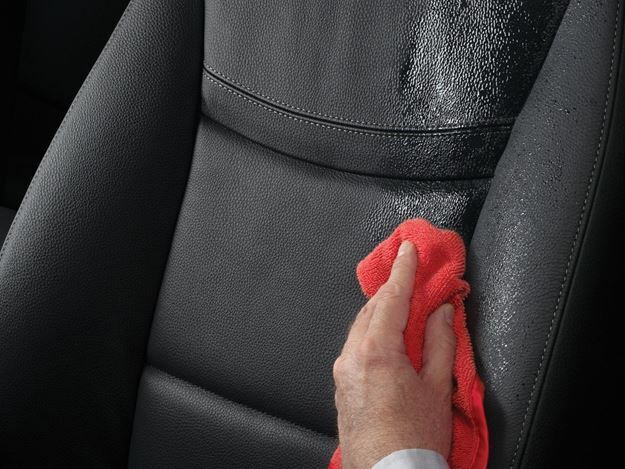 WeatherTech TechCare Leather Conditioner with aloe vera removes dirt and other impurities from automotive leather and vinyl surfaces and also helps protect and maintain these surfaces. Made and packaged in the USA. Like applying moisturizer and sunscreen to your vehicles leather surfaces! Long lasting, TechCare Leather Conditioner gently removes dirt and contaminants from automotive leather and vinyl surfaces. Contains Aloe Vera and other moisturizers that help to extend the life of automotive leather and vinyl. Made and packaged in the U.S.A.